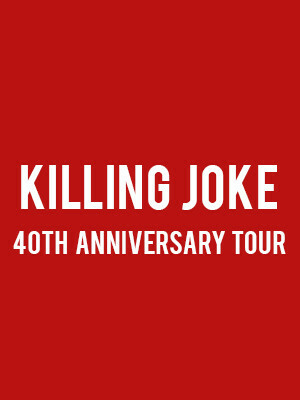 Killing Joke celebrate 40 years! Celebrate 40 years of post-punk supergroup Killing Joke with the Laugh At Your Peril Tour! Hailing from the shores of Great Britain Killing Joke have transcended the realms of the punk genre, constantly growing and innovating their sound, Killing Joke have remained true to their fans whilst giving their ears a musical education! With a whopping 15 albums under their belt, Killing Joke return to celebrate four decades in the business in a series of concerts which is sure to be their best yet! 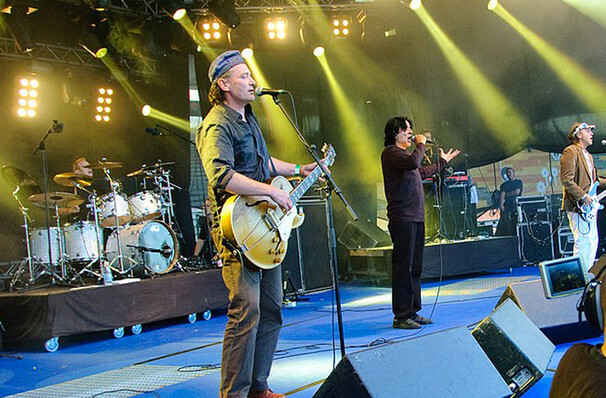 With their longevity intact, Killing Joke can boast of influencing some of the biggest bands in the world. With Nirvana, Metallica and The Banshees all citing the five-piece as their musical influences, Killing Joke are one of the most iconic bands in the world. Some venues are age restricted, please check with the venue before booking. Seen Killing Joke? Loved it? Hated it? Sound good to you? Share this page on social media and let your friends know about Killing Joke at Star Theater Portland. Please note: The term Star Theater Portland and/or Killing Joke as well as all associated graphics, logos, and/or other trademarks, tradenames or copyrights are the property of the Star Theater Portland and/or Killing Joke and are used herein for factual descriptive purposes only. We are in no way associated with or authorized by the Star Theater Portland and/or Killing Joke and neither that entity nor any of its affiliates have licensed or endorsed us to sell tickets, goods and or services in conjunction with their events.